Original Creator John Tobias Revisits Klassic Character - Raiden! You know him as one of the founding fathers of Mortal Kombat and the creator of the series' most enduring icons. John Tobias has revisited one of his famous creations, sharing an all new drawing of a klassic Raiden! Raiden first donned his trademark blue in Mortal Kombat II (1993), where Carlos Pesina appeared as the actor digitized for sprites. This remained the iconic look for the character for many years, appearing animated for the 1996 cartoon, and rendered in three-dimensional polygons for the first time in Mortal Kombat 4 (1997). It continues to inspire even his most recent designs. 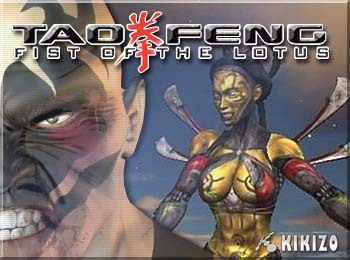 MK4 was the last game completed before Tobias departed Midway Games. He recently shared a hand painted character sheet from Mortal Kombat: Defenders of the Realm that showed the cartoon versions of Raiden and the other characters [full story]. The Raiden digital drawing, shared via Twitter, is a "semi-recent" piece made using Cintiq: HD Wacom graphic tablet that allows artists to draw directly to the pad with vivid detail. Need more John Tobias in your diet? You can read his own words in a 2-part interview published in the MK Online Interview Archive! 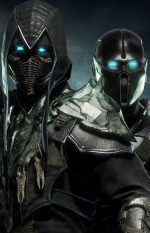 You can also follow @therealsaibot & @MK_Online for more updates! Got your own art to share? Register to submit your work for feature alongside thousands in the Fan Submission forum and archive! 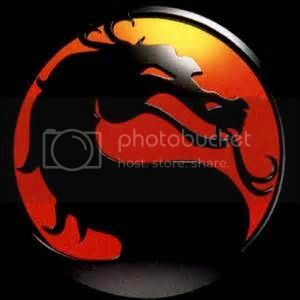 You can also revel in all things retro MK in the 2D Kombat Klassics & 3D Kombat Klassics forums! Is this his desperate attempt and cry to get noticed again; as if NRS is going to scoop him up and let him run things? Maybe he should have drawn this instead and said "D'Vorah who?" <div class="forumQuote"><b>blacksaibot Wrote:</b><br/>Talkback Crank File</div> <br/>Sometimes interesting people who've created interesting things revisit them - even after a long break, and while playing around with new technology. It's unusual for Tobias to do so, so lets just try enjoy it for its charm, and not be bugnuts. Sometimes interesting people who've created interesting things revisit them - even after a long break, and while playing around with new technology. It's unusual for Tobias to do so, so lets just try enjoy it for its charm, and not be bugnuts. I got 90's chills looking at this sketch. I always liked Tobias' st<i></i>yle. I got 90's chills looking at this sketch. I always liked Tobias' style. That warrants a skull around here? Geez... no wonder the number of visitors has dropped exponentially. NOICE! I've always preferred Tobias over Ed personally. The memory of seeing his design for the first time in MKII is still fresh. Every damn thing about that game was so epic at the time. That's pretty awesome! I'd love to see Tobias doing something MK again! <div class="forumQuote"><b>MrMephistopheles Wrote:</b><br/>That's pretty awesome! I'd love to see Tobias doing something MK again!</div> <br/>Perhaps official character art for the next game? Perhaps official character art for the next game? That looks fantastic. Like others have said, I would love for Tobias to be back on the team some day, even if he is just a character designer/artist. <div class="forumQuote"><b>redman Wrote:</b><br/>That looks fantastic. Like others have said, I would love for Tobias to be back on the team some day, even if he is just a character designer/artist. </div> <br/> <br/>Amazing work. I miss him as not just as artist, but also the primary storyteller of the series. Amazing work. I miss him as not just as artist, but also the primary storyteller of the series.